I love lilacs but they bloom early and then we are left with a big leafy bush that is susceptible to powdery mildew. 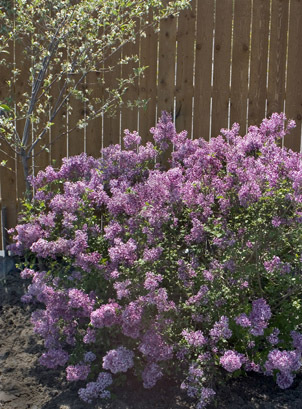 Enjoy classic lilac fragrance for months instead of weeks! Bloomerang blooms in spring and then again throughout the summer. It does go through a rest period in the heat of the summer … then fragrant flowers continue until frost. Reblooming AND powdery mildew resistant! Have you ever grown this variety?